The internet has become a popular and easy channel for product distribution around the world. It has created a marketplace of more than half a billion users in China, more than a third of the world’s total online population, and is still expanding. Apart from being a forum for legitimate vendors and original products, the internet is also used by illegal and unscrupulous businesses as a platform for the distribution of counterfeit goods which infringe intellectual property rights. As the internet provides a convenient platform for counterfeits, we recommend that every European SME (especially those with successful products) should monitor Chinese e-commerce sites for infringing products. By moving quickly you will be able to have infringing products removed from sale and preserve your market share. Although some companies find that internet monitoring is time consuming but you may find yourself at high risk if you sell your product on the Chinese market, manufacture your product in China or even if you have a popular product on sale in Europe. This guide provides you with information on the regulations governing e-commerce and a practical introduction on how to have infringing products removed from two popular Chinese e-commerce sites: Alibaba and Taobao. China, similarly to European countries, provides legal protection of Intellectual Property Rights (IPR) including trade marks, copyrights and patents. The specific regulations related to the internet stipulates that if the IP-protected material is uploaded without the right holder’s consent, he may request in writing that the internet service provider (ISP) removes the infringing work, or removes the relevant website from the ISP’s network and disables access to the copyrighted material. This kind of written warning is known as a ‘take-down notice’. The general rule is that if the ISP removes the infringing content following a ‘take-down notice’ it will not be held liable for any further compensation. If however, the ISP knew or should have known about the infringement, the ISP will be held liable jointly with the person who uploaded the infringing content. In order to avoid liability, Chinese ISPs have developed systems to aid take-down notices. Trade marks and patent rights must be registered in China. Copyright exists automatically but registration is recommended and usually necessary for take-down notices. In order to issue a take-down notice you must have registered your IPR in China. Registration in your home country is not usually sufficient (although Alibaba does accept IP registered outside of China). For a successful take down action you will have to provide the ISP with the registration documents of your Chinese trade mark, patents or copyright. Although ISPs can help to remove infringing products their powers are limited. E-commerce platforms ISPs cannot impose fines on infringers or grant any compensation to right holders. Additionally, the ISP cannot make a judgment on conflicting IP infringement claims. Conflicting claims should be taken before Chinese administrative authorities, e.g. Administration of Industry and Commerce (AIC), or before Chinese courts. 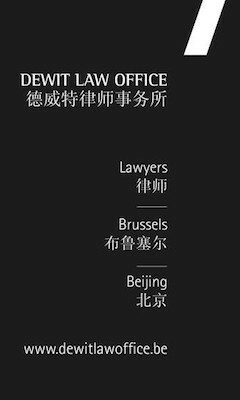 More information on enforcing your rights is available in other China IPR SME Helpdesk guides (see the useful links section). In order to stop infringement as early as possible it is recommended that you proactively monitor the internet for counterfeits. A good place to start is the two most popular e-commerce sites in China, Alibaba and Taobao, which have a combined total over nearly 700 million users worldwide. The most common infringements encountered on e-commerce sites include trade mark violation (i.e. used without permission), sale of counterfeit products and copyright infringement (advertisements and other images used to promote counterfeit products). Search for names which are identical or similar to your brand or product name. Search for your brand or product name in Chinese. Chinese consumers like to translate brand names into Chinese, either as a phonetic translation or by translating the meaning. Where possible ask a Chinese colleague or use a translation tool to search e-commerce sites in Chinese. 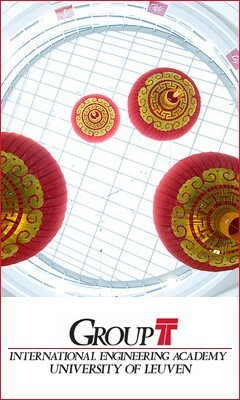 You may also find more results by conducting your search through a Chinese search engine (baidu.com or bing.com). Search for items in the same category as your product. Use you product name plus your home country as key search terms. The listing was made by an individual or company who is not involved in your official distribution channel in China. There are a large number of listings from one vendor. The vendor is offering the product lower than the market price. The product is listed several times with a wide variation between prices for each listing. The vendor has a large number of units available for sale. Please note that if a vendor offers only one or few a units of a product, it may not constitute an infringement as it is legal to sell ‘second hand’ products or to re-sell original new products. Many Chinese ISPs provide tools to facilitate submission of takedown notices; please see the examples from Alibaba and Taobao below. Remove the listing upon receipt of a take-down notice from the IPR holder. Notify members responsible for listings subject to IP infringement claim. Suspend or terminate the membership of a user who has received multiple IP infringement claims. Proof of identity – For companies this includes business incorporation certificate or certificate of incorporation. For individuals, your identification documents such as a passport or national identification card are required. Proof of IPR ownership – Including patent registration certificate, trade mark registration certificate or copyright registration certificate (please note an application receipt is insufficient). Identification of the alleged infringer and details of the listing which you wish to have removed. We suggest providing clickable hyperlinks. Alibaba evaluates IP infringement claims filed via AliProtect® promptly and deletes listings on a weekly basis. Often, there will be more than one infringing listing and Alibaba admits max 200 listings per infringement complaint against a single vendor. Before the listing can be removed the alleged vendor will be notified of the complaint through the online system and will have the opportunity to respond to the claim. The vendor will also receive the IPR holder’s contact information to facilitate direct conflict resolution. There is no charge for registration and submission of IPR infringement claims. Delete the link and clear up other product information involving intellectual rights on relevant webpage. Submit a counter notification in the system (note: if no counter-notification is received within three days after receipt of notice, the system will automatically delete the listing under complaint). If the complainant accepts the counter-notification – confirm so in the system. If the complainant does not accept the counter-notification – submit a dispute handling request in the system. If the complainant does not respond – the listing under complaint will be reinstated until the complainant responds. Another popular online platform in China is Taobao. Taobao is a domestic Chinese online platform aimed at local users. It operates exclusively in Chinese and only accepts IPR registered in China for take-down notices. However, Taobao is a powerful force in the e-commerce sector in China and European SMES should monitor it for IPR infringements. Taobao has a sophisticated complaint system which led to 87 million listings being removed from the site and one million users being punished in 2012. Taobao’s online complaint system operates in Chinese only but provides the possibility of filing an IPR infringement complaint in English using a template to be sent by email together with the required proof of identify and IPR ownership. Additionally Taobao provides a step by step guide in English to using the online system. There is no charge for registration and submission of IPR infringement claims. Individuals should provide a copy of valid ID card (e.g. passport). Enterprises should provide a copy of valid business license or incorporation certificate. Agents should provide an additional authorisation letter. Proof of copyright (worldwide) or Chinese registered trade mark or patent (invention patent, utility model, design patent). All documents must be in electronic format and must be submitted online. Before submitting any take-down notices, you must register as a user on the website. Taobao provides a step-by-step guide to registering in English. Taobao may take up to seven working days to process the initial complaint and remove take-down the disputed listing from the website. This time may be reduced to three to five working days once a track record of submitting accurate take-down notices has been established. Counter-notification must be submitted by the vendor within three days of the listing being taken-down. The IPR holder has three days to respond or the listing will be reinstated. If the complainant does not accept the counter-notification a dispute handling request can be submitted via the online system. Although issuing a take-down notice is a relatively quick process, it is one which may need to be completed frequently depending on the number of counterfeits of your product on the market. As well as searching the sites mentioned above, you should look at other popular e-commerce sites in case your IP is being infringed elsewhere. In the case of widespread counterfeiting it may be possible to take further legal action against the infringer.